Are you looking for a very cool, one of a kind gift for someone you care about? Here’s a story of some very good friends who were moving to a new city and the gift I was commissioned to create. The best part about the story is that another friend overheard her say, “I wish I could have a mantel someday with that carved into it.” That friend talked with a bunch of other friends, and they all decided they would commission me to carve it for her. The trouble was, she and her family were moving and most people don’t take their fireplace mantels with them when they move. So, some creativity was needed to come up with something that would work. I chose a piece of oak, 1 inch thick by 6 inches high and approximately 36 inches long. I carved the letters into it, taking care to match the lettering in the painting. Then I rigged a hanging system on the back, so they could take it anywhere and hang it where it suited best. 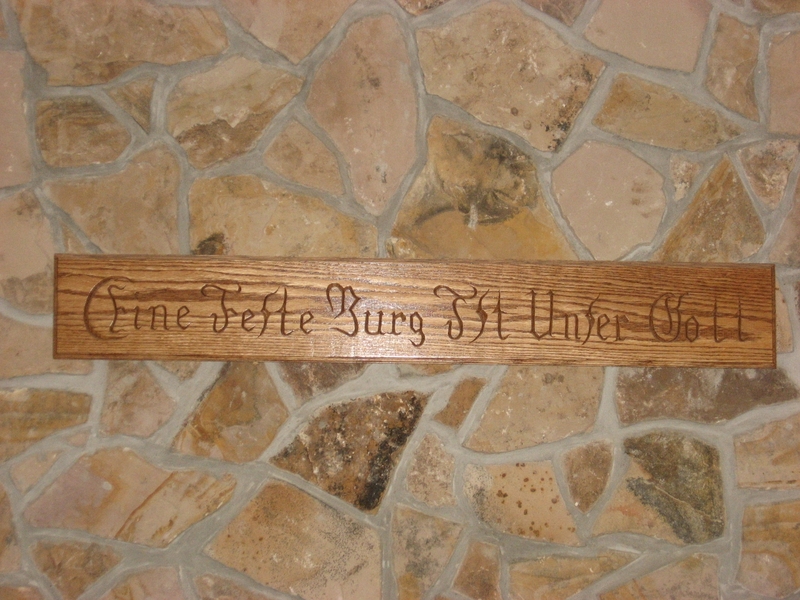 The wood is oak, 1x6x36 inches. 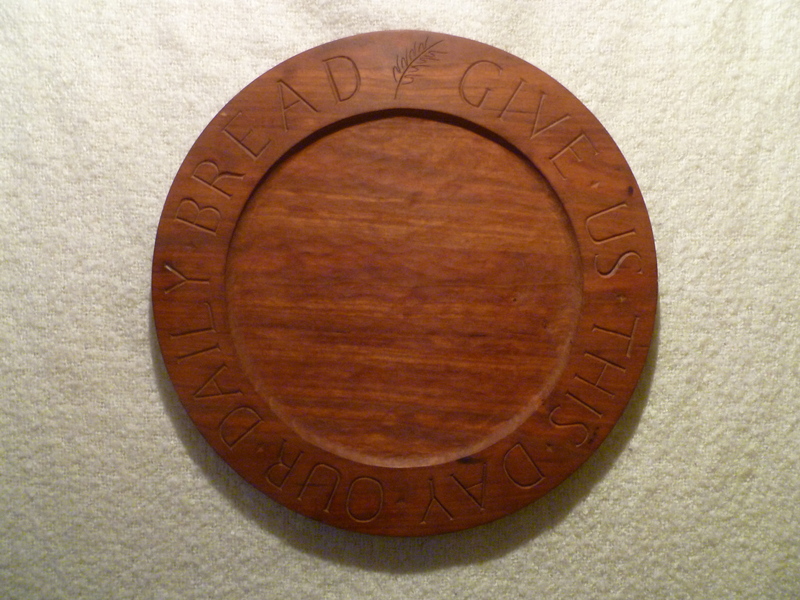 It is stained in medium oak Danish Oil stain and sprayed with lacquer. It is in a personal collection, hanging over a fireplace, and not for sale. Contact me if you have an idea. I’ll work with you to come up with a piece that suits your style and wishes.